So, you’re thinking about how cool it was to go on vacation when you were a kid and lie around in Auntie Belinda’s backyard hammock. Or you’re tired of camping in a tent and want to sleep out in the open air. Or you’re seeing that the holidays are fast approaching, and you need a cool, knock-it-out-of-the-park gift for that friend who’s still mad about The Buddy Holly Story VHS cassette you never returned. Whatever it is, you’re still on the fence about the Amazonas hammock line from Byer of Maine. 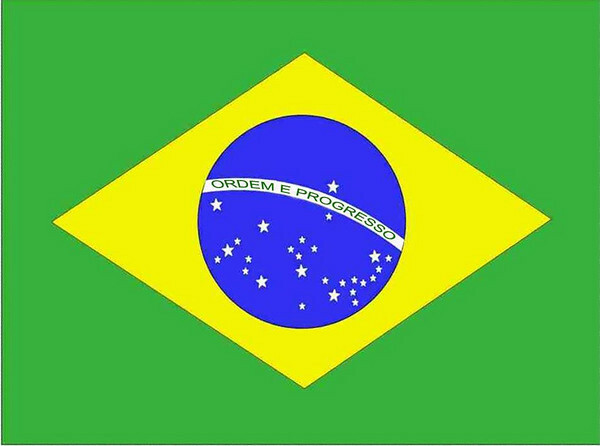 1) From Brazil, With Love: When we say Amazonas hammocks are handcrafted in the Brazilian tradition, we mean it. Like, we REALLY mean it. There’s something you should know about hammocks and Brazil: In many homes, the hammock is the bed. It hangs from the wall and it’s where you turn for a good night’s rest. The hammock is a way of life in Brazil, and it’s why our signature Barbados hammock is built in Brazil by Brazilians in just the same way their traditions dictate. Recycled cotton, vibrant colors, and handwoven in Brazil. How can you beat that? The Amazonas hammocks don’t force you into an awkward dance as you try to remain upright. They wrap around you in a way a hammock with a rope spreader bar in your grandparents’ backyard never could. 2) In & Out: There’s something that we all find extremely attractive about a hammock swinging in the breeze in the backyard or along a lakeshore. On a perfect summer night, there’s no more perfect place to unwind. Just remember, that hammock doesn’t have to wait for one or two weeks of good weather in July to be put to good use. 3) Shelf Life: The Traveller Double XXL has 20/20 vision. The Traveller Double XXL hammock adheres to two simple rules: It is spacious and it is affordable. Because the Traveller Double XXL is 20 percent larger than its competition in the world of backpacking hammocks, no other double-sized hammock on the market has as much room. There’s enough room to sleep two adults — thus saving a ton of space when you’re packing gear for an extended sojourn into the wild — or enough room to keep some essentials with you in the hammock. By simply folding some of the fabric over itself (inside or outside of the hammock), you can make a shelf that holds a book, tablet, wallet, water bottle, or even a midnight snack. And at an affordable price, no other hammock this size can offer you as much room and flexibility for less than 60 bucks. It’s a win-win. 4) Over Easy: The Easy Traveller is a steal. Literally. Well, almost literally. Here’s what you know about the Easy Traveller hammock already: It’s super lightweight (16 ounces) and super strong, made from durable parachute nylon cloth. Here’s what you probably don’t know about the Easy Traveller: It comes ready to go. Every Easy Traveller hammock comes complete with a MicroRope hanging system. Alone, that system retails for more than $17. So, you buy an Easy Traveller and you get a free MicroRope system included, and it’s like you just made off with more than $17 in gear for FREE. Like I said, it’s a steal. Almost. 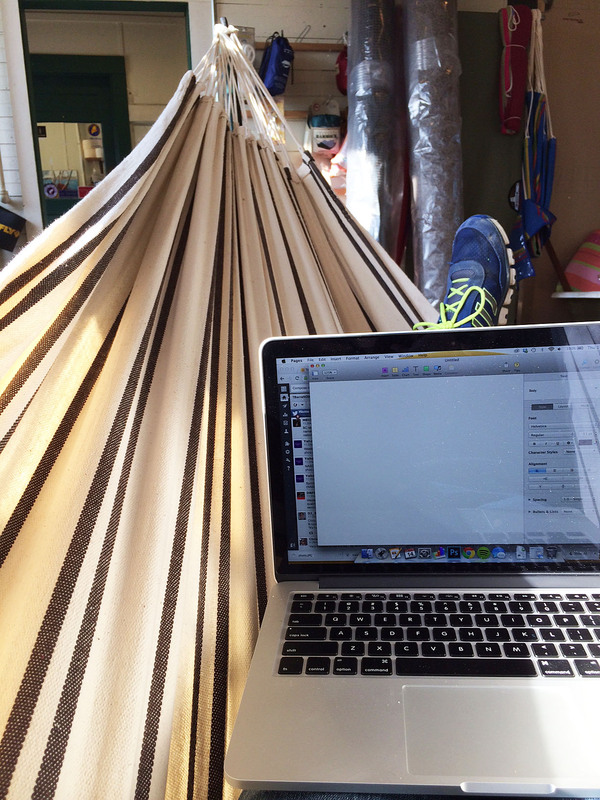 5) Writer’s Block: This entire blog entry was written while sitting in an Amazonas hammock. It’s true. The size, stability, comfort, and functionality of a Brazilian-style hammock has no rival when it comes to serving as a “cubicle on the go.” Sure, working in one defeats the purpose of being able to retreat into a complete state of relaxation, but I’ll take it as an acceptable substitution. This is what’s great about the Amazonas line: There are really three ways to put this thing to good use. You can lie in it, you can sit across it like it’s a bench, or you can get in what we refer to as “the reading position,” where you sit up, drape your elbows over the sides for support, prop your head up on a pillow and enjoy what feels like a completely natural way to read a book, magazine or tablet. There’s five things I bet you didn’t know about the Amazonas hammock line from Byer of Maine. Now all this writing has made me sleepy. I’m set to doze off in 3… 2… 1… zzzzzz. This entry was posted in Hammocks and tagged Amazonas, Barbados, Brazil, Brazilian, Byer, Byer of Maine, Hammock, Hanging chairs, MicroRope, Shopping, Traveller by beckybyer. Bookmark the permalink.